VERTICALE is a posterior double rod fixation system for stabilizing the thoracic and lumbar spine. In both open and minimally invasive use, VERTICALE allows degenerative spinal diseases to be stabilized in a controlled manner and deformities to be corrected conveniently. We placed special emphasis on ergonomics, modularity and clarity of the system during development. Bi-functional 2-in-1 instruments and modular handle options for the instruments support surgeons in their work, while individually customizable screw trays facilitate daily handling of the system and can save considerable space in the operating theater. The system was developed in close cooperation with experienced and qualified spinal surgeons as well as specialist staff from theater and sterilization departments. 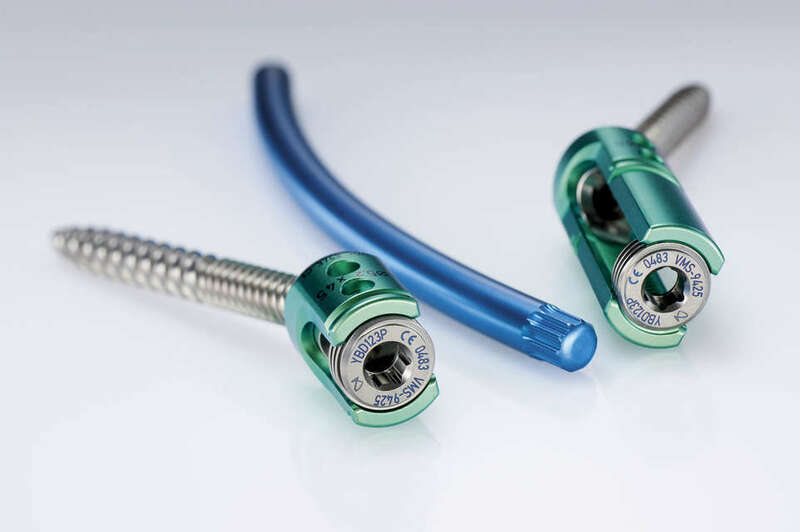 With its polyaxial and reduction screws, whether solid or cannulated and fenestrated, combined with 5.5 mm titanium or cobalt chrome rods, VERTICALE is suitable for a wide range of indications. Like all the other implant devices and instruments developed by Silony Medical, VERTICALE is devised as a so-called living system. For instruments and implant devices alike, we are constantly working to expand and improve our systems. VERTICALE polyaxial screws: slim and versatile. In all aspects! VERTICALE monoaxial screws: the fixed point of the system. VERTICALE uniplanar screws: for a given direction. VERTICALE revision screws: safe for the second time. VERTICALE iliac screws: for fundamental placement. VERTICALE rods with decagonal ends can be rotated much more easily with the Verticale Rod Rotation Wrench by the user than rods with hexagonal ends. The decagonal end also makes it easier to insert the rod in the best position for correcting deformities as precisely as possible. 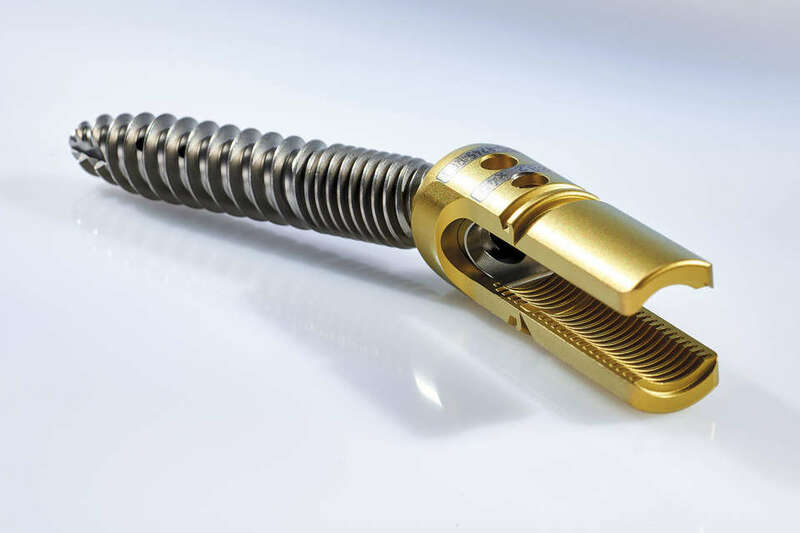 A wide range of implant devices, rods made of Ti and CoCr alloys, cross connectors and rod extensions, guarantee that the system can be adapted to your patient’s specific anatomy. VERTICALE set screw: for good connections. The threads of the set screws facilitate easy insertion and reduce cross-threading, thereby ensuring that the rod is securely locked. VERTICALE screw tray: as little as possible, as much as necessary. In total, the VERTICALE system includes over 900 different pedicle screws. We prepare the required quantities and sizes in customized screw trays for our customers. All VERTICALE screws are color-coded by diameter to enable faster and easier identification. The lengths vary in 5 mm increments. The correct screw length can be verified on the side of the tray.